KyoAruki gives you the opportunity to enjoy a walk in Kyoto dressed in a beautiful rental kimono. 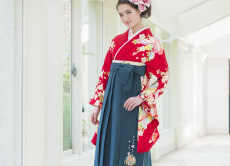 You can not only rent a kimono or yukata, but receive help for putting them on. As options, you can request professional hairstyling, accessories or upgrade of the obi belt! Professional photo session in a Japanese-style environment is also available! 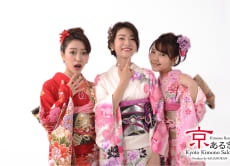 Wear colorful Japanese Furisode kimono in Kyoto! Wear Japanese traditional Hakama trousers in Kyoto! Take pictures dressed in a beautiful kimono in Kyoto! Definitly I will always purchase it again when I get back to Japan. Very nice Yukatas, practical and quick. Nice personnel, very gentle. As a tip, it would be easier to include the location of the establishment before people book, and give directions to find it in several languages.